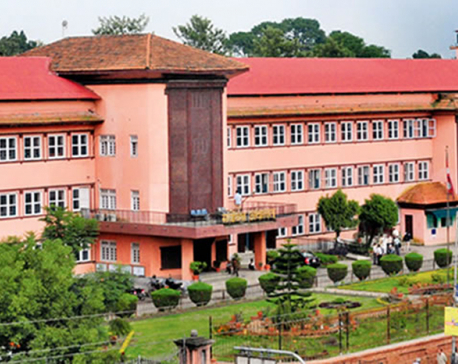 KATHMANDU, March 27: A writ petition has been filed at Supreme Court against the Online Media Operation Directive the government issued recently. The Directive was issued to make systematic the registration, renewal, operation and monitoring of the online media. Filing petition on Sunday, journalist Prabesh Subedi and advocates Baburam Aryal and Santosh Sigdel, demanded that the SC repeal the Directive, arguing that it was against freedom of expression, right to information and the constitutional provisions. Meanwhile, various media related organizations have expressed concern over the Directive, saying that it was oriented towards control of internet-based media rather than their management. The government had published the Online Media Operation Directive in the gazette on March 20. Chairman of Federation of Nepali Journalists Dr Mahendra Bista protested the Directive stating that the government did not heed the suggestions the FNJ and other media organizations gave relating to the Directive. "It has come not in a way to manage but to control the online media," he underscored. According to him, the government brought the same old Directive that was against the freedom of expression on internet. Similar version of the protest to the Directive came from General Secretary of Press Union, Ajay Babu Shivakoti, Chairperson of Press Chautari Nepal, Ganesh Basnet and former Chairman of FNJ Bishnu Nisthuri.